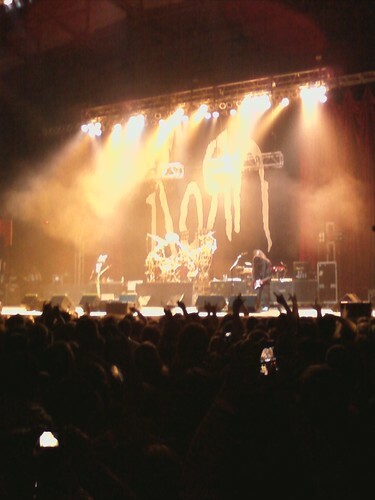 A few weeks ago, May 26th to be exact, Korn, a Heavy Metal band from my high school/college days, was in town and a couple of guys from work and I went. In high school and college I was one of those guys who stood up front, jumped around, crowd surfed, moshed, and left there deaf and drenched in sweat. For years I thought that is how everyone watched concerts, more recently I realized there is this entire other group of people who go to concerts sit in the stands, enjoy the music and leave with their hearing intact and not covered in other peoples sweat. Korn is not the kind of band I could just sit in the stands and watch, so as we walked towards the event center I said out loud “I think I might be too old for this”. Well it turns out, I was wrong. I rocked out just like I was in college again and I didn’t feel like that weird old guy. I came home soaked and with my ears ringing, took a shower and went to bed, it was great. The next morning on the other hand was a different story, my ears where still ringing, my head hurt, my neck hurt, my legs hurt and my voice was gone. I know I used to hurt in college after a concert but this was ridiculous my ears didn’t stop ringing for three days, so maybe I am too old to mosh. This entry was posted on June 4, 2010 at 10:22 pm and is filed under Failure, Rants. You can follow any responses to this entry through the RSS 2.0 feed. You can leave a response, or trackback from your own site.